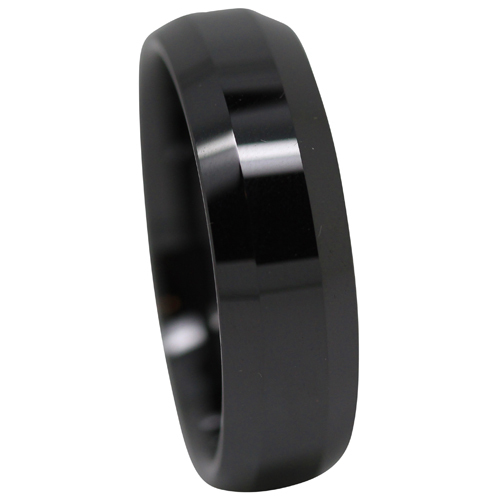 This black zirconia ceramic ring features a polished finish and tapered edges. Often when we design a ring with tapered edges, they are fairly subtle, and a purely for practicality and comfort. With this design, we decided to make the edges the highlight of the design. A stunning design, built with comfort in mind.